Well, I suppose everyone should have seen this coming. An announcement has been made of plans to sequence the genome of a Neanderthal. The plan is to take DNA extracted from a Neanderthal fossil, and sequence it using a relatively new method from a company known as 454 Life Sciences. I am torn about this project. Yes, it is cool to read DNA sequence from an extinct species, especially one that has not been around for some time and one of direct relevance to understanding human evolution. On the other hand, I would personally find it much more interesting to try and sequence an ancient Homo sapiens first. This is because the comparison of the Neanderthal to modern humans may not be the right comparison. It would be better to first compare an ancient Homo sapiens sample to modern humans, maybe with both being done with the same methods to be used in the Neanderthal study. This would be for two reasons. First, we do not really know how well the method(s) they are using work. And second, if the methods work well, it is possible that some of the differences they observe would actually be due to degradation or damage to the DNA sample. Therefore, if they simultaneously did work on an ancient Homo sapiens they might better be able to calculate which differences are do to real differences in the Neanderthal DNA and which are due to damage to the sample. Assuming they do something like this and they are able to detect differences in the Neanderthal genome. What then? In the end, the major area of interest will be population genetic analyses trying to figure out how long Homo sapiens and Neanderthals were separated for and whether there was any interbreeding. To figure this out, they will need more Neanderthal samples and ancient human samples. Nevertheless, it is always good to do something that brings attention to the public for scientific research. Open Access Rant: How Does Your Doctor Learn About the Newest Medical Findings?? Everybody would like to find a doctor who is knowledgable about the latest developments in medicine. Whether these developments relate to new treatments, or new methods of diagnosis, or treatments that are dangerous or do not work, we want our doctors to know this information. How do doctors find out about these things? Well, there are many sources of this information, but one we hear a lot about these days is a little disconcerting. It turns out that a lot of doctors get the latest information from drug company reps who stop by the office and leave imformation pamphlets or who talk up their companies latest products. This could be OK, except for the fact that many of the drug company reps either purposefully provide misleading information, or in fact do not actually know what is good or bad information. One reason this is such a big problem is that, like everyone else these days, doctors are really busy and overwhelmed. So they sometimes do not have any time to read the actual medical studies that might be relevant to what the drug company reps are saying. But that is a bit lame of an excuse, since it is their job to know these things. Thus I really think they should read more of the medical literature and not just drug company propaganda. But herein is one of the biggest problems in modern medicine. Even if you have a really hard working doctor who is willing to read the latest papers, they may not be able to. This is because even though most of the medical studies were paid for by the government in some way, they are not freely available for the doctors to read, because they are published in journals that charge exceptionally high prices for subscriptions. Doctors in large institutions probably have good access to this information. But doctors in small groups may not. Imagine if congress passed laws but lawyers were not allowed to read them without paying a fee to someone. The system for medical literature is really absurd. I got thinking about this when re-reading Lance Armstrong’s autobiography “It’s Not about the Bike.” In the book, Armstrong describes how when he had testicular cancer he had a friend who was a doctor bring him the latest studies on this type of cancer and he read all of them. Well, this only was possible because his friend must have had access to all the publications through a university or very large medical group. Wouldn’t it have been better if Armstrong could have just gotten the studies himself, given that most were paid for by the US Government in the first place? Well, if people doing medical research published their finding in Open Access journals, then anyone could read the articles, from doctors, to patients, to family members, to journalists. We would all benefit if this was done. Author Jonathan EisenPosted on July 14, 2006 Categories Misc.Tags Misc., open access, Scientific PublishingLeave a comment on Open Access Rant: How Does Your Doctor Learn About the Newest Medical Findings?? Studies of “ancient DNA” are becoming all the rage these days in various circles. The term “ancient DNA” refers to DNA isolated from very old samples, lets say at least 1000 years old. Many years ago, it was considered almost taboo among biologists to say you worked on ancient DNA. It was the cold fusion of biology. This was becuase a variety of esteemed scientists basically said it was impossible for one to study ancient DNA since DNA was not stable enough to survive for so long a period of time. It is clear now that these people were pontificating without any real evidence, but at the time, they carried a lot of weight. At first, the papers published on ancient DNA seemed to support the naysayers. Many many early claims were found to be flawed. But as researchers learned the problems, they also learned how to circumvent them. They learned how to keep samples very clean and avoid the possibility of contamintions. And they learned how to help deal with fragile DNA (it is sort of the chemical equivalent of dealing with a crumbling manuscript of days past). And most recently, ancient DNA has gotten a new kick in the pants. This comes from applications of methods originally designed for genome sequencing projects (like the human genome project) to the field of ancient DNA. The genome sequencing methods allow researchers to characterize in more depth samples that supposedly contain ancient DNA. The deeper sampling allows more statistical approaches to analyzing the data and this in turn allows one to test a variety of possible explanations for what one observed (e.g., one can do a test that distinguiushes contamination from other possibilities). And one can tell that ancient DNA is really a hot topic again as it is getting covered in all sorts of popular mags (see the recent article in Wired magazine for example here). What can one do by studying ancient DNA? Well, basically the same things that anthropologists and paleontologists and archaeologists and evolutionary biologists have been trying to do by examining fossils. Only now, by looking at the DNA contained within fossils, one can both test (i.e., confirm, deny) inferences made from other information OR one can frequently make inferences that were impossible previously (the article in Wired is about Eddy Rubin’s studies of Neanderthal DNA that to them suggests that many anthropology-based claims about human-Neanderthal interbreeeding are wrong). Note – for full disclosure (which someone nagged on my previously for not doing), I am just starting to work with Eddy Rubin on some ancient DNA analyses, but I had nothing to do with the Neanderthal work described in the article. The real question I think for ancient DNA studies is now no longer can they work. The question is – how far back can they go? Most likely, as one goes further and further back in time, the DNA will be in worse and worse shape. And thus what one can learn from looking at it will decrease significantly. But here is where the genome sequencing methods come into play. If one can get a large enough sample size, it may not matter so much that the DNA is in bad shape. For example, if one had one blurry picture of someones face, you would not know what they looked like. But if you had 10000 blurry pictures of the same face, you could reconstruct it with high accuracy by combining the information from the different pictures. So – stay tuned – ancient DNA studies may be turning up some interesting tidbits in the near future. We are not likely to get to Jurassic Park territory soon – but it is not longer as absurd as it once seemed to many. It’s too bad more of the Republican party is not like him on this issue. I would bet he really cannot stand Bush but he has been trying to be a little more policial recently and thus has not said anything too critical. But it is good to know that at least one (and maybe only one) of the possible Republican candidates for president is not as anti-science as the core of the party seems to be these days. 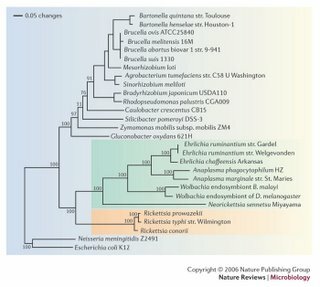 There is an interesting interview of David Botstein in PLoS Genetics here. Botstein has been at the heart of many key discoveries and innovations in genetics and genomics and he discusses some of these in this interview. In addition he discusses his initiative at Princeton to try a new way of teaching science to undergraduates. It is not the most comprehensive interview, but it still has some juicy tidbits. In particular, the discussion of his 1980 paper on genetic mapping has some things I have not read elsewhere. Well, I browsed around the Nature web site and did some searches for terms like “Reprinted with permission” and then looked at how they handled Figures that were reprinted from other places. I found some additional examples where the Figure image did not seem to do a complete job of crediting the source of the material. But without a doubt the most disturbing thing I found is that you can download powerpoint slides of the figures and all the ones I looked at only had “Copyright Nature” or something like that and no information crediting the actual source of the material. This is basically because they do not include the Figure legends on the ppt slides. I am not sure if technically they are allowed to do this in some cases (my gut feeling is there is something wrong with what they are doing) but it could not be that hard to include the Figure legend on the ppt slides, even in small font. They certainly are able to inlcude their “Copyright Nature” in large font. But even if technically they are allowed to do this, they should not. Search for terms like “Reproduced with permission” — I used the “The exact phrase” option. Unfortunately, it seems common in other places. For example, PNAS provides powerpoint slides but does not include Figure legends with them either. Look here. So – not trying to single out Nature here but that was where I looked first. It seems that many publishers are trying to hard to provide material (e.g., powerpoint slides) without being careful enough attributing the original sources. Nature in this instance appears more desperate than objective, since the competitor they are criticizing is a start up society that published “Open Access” journals. Open Access means many things but one of them is that the articles are free to all. This is bad for journals like Nature that make a killing by charging people to read the results of research funded primarily by the government. Interestingly, a little browsing around Nature’s web sites shows that not only are they apparently in a tizzy about Open Access publications, but they even have the gall to try and pretend that material published by others was generated by them. 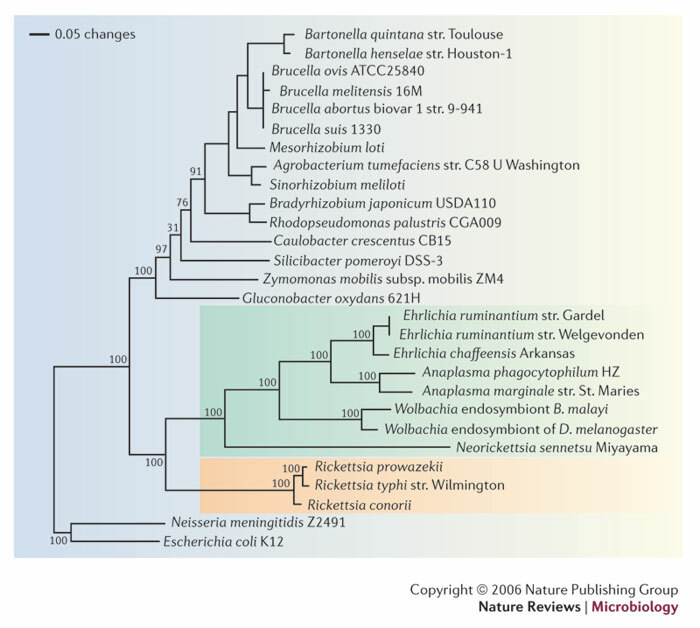 Nature then published an article in Nature Reviews Microbiology (see here). The article is fine and even includes the figure linked above taken directly from our paper. This is OK in the world of Open Access if they attribute the origin of the figure correctly. In the article they sort of attribute it but do not do a robust job. And even more deceptively, they put “Copyright Nature” onto the Figure even though this is completely invalid. I have downloaded the figure and provide it here for those who do not have access to Nature. As a follow up to Deltef’s comments. PLoS journals and many other Open Access journals allow you to publish complete stories because most do not have arbitrary restrictions on the lengths of papers. I have been involved in dozens of publications associated with genome sequences, many in Nature and Science and now many in PLoS journals. For papers in Nature or Science we almost always had to make the stories incomplete because of page restrictions. For PLoS journals, we could tell the whole story. Note – PLoS does not encourage run on papers – they just allow one to include the material that is scientifically relevant. PLoS started a few journals a few years ago to try and provide alternatives to the standard model. These journals are “Open Access” and thus much better for the world. What PLoS has done better than others attempting to make scientific literature open acces is to show that one can publish a very high quality journal that is still free to all (e.g., PLoS Biology). Now PLoS has announced a completely new way to publish scientific literature. Called PLoS One this seems like a strong attemp to bring scientific publishing into the 21st century. Among the “features” they say will be there are much more rapid publication, publication of all science (with the only criteria being that it is validated by peer review – no restrictions will be made to force the publication to be radically novel) and development of an online community around the publications. Stay tuned — we will have to see how it works out but the initial impression I have is that it sounds quite nice. Well, that is all fine and dandy and I personally view science and religion as separately areas for the most part. However, if you look at some of Collins’ interviews you realize that in fact his science appears to be compromised by his strict (i.e., fundamentalist) interpretation of certain aspects of religious belief. This is not to say the evolution and religion are not compatible, but the way to make them compatible is NOT to mislead people about what the science of evolutionary biology reveals. It’s funny in a way – Collins claims he believes in “theistic evolution” or the idea that God created the natural laws, including those of evolutionary biology, and that those laws are how the hand of God works. But then I do not understand why it is OK to ignore those laws when convenient.